The interior design of The Ampersand Hotel in London, England by Dexter Moren Associates is influenced by the museums nearby. This luxury hotel in South Kensington has five central themes — botany, music, geometry, ornithology and astronomy. 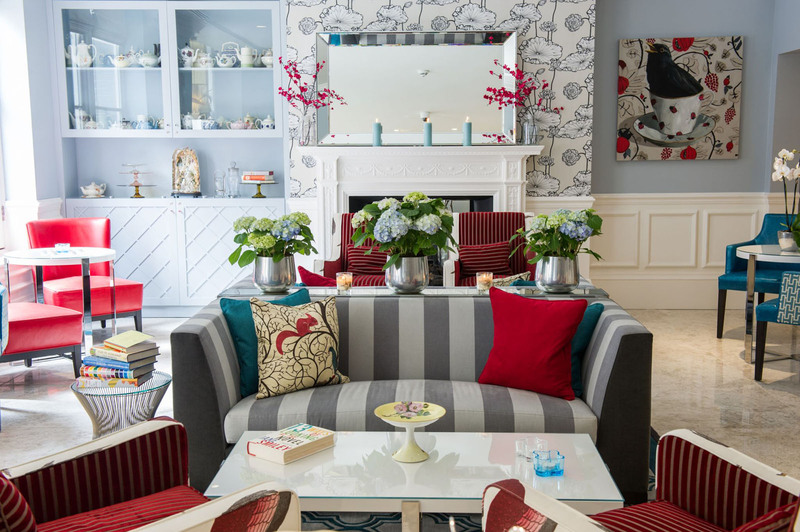 Built in 1888, The Ampersand Hotel is one of London’s original Victorian boutique hotels. Victorian features with contemporary designs are found in each of the 111 rooms which include oversized bed heads and original high Victorian ceilings. The eclectic, whimsical decor characterizes this cosmopolitan hotel within a Victorian building.